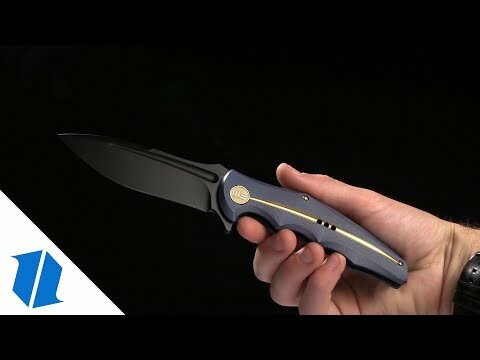 The WE Knife Co. 608A is a reliable flipper made with premium materials and lightweight, ergonomic construction. Its reinforced tanto style blade features jimping on the thumb ramp and flipper for added grip and control. 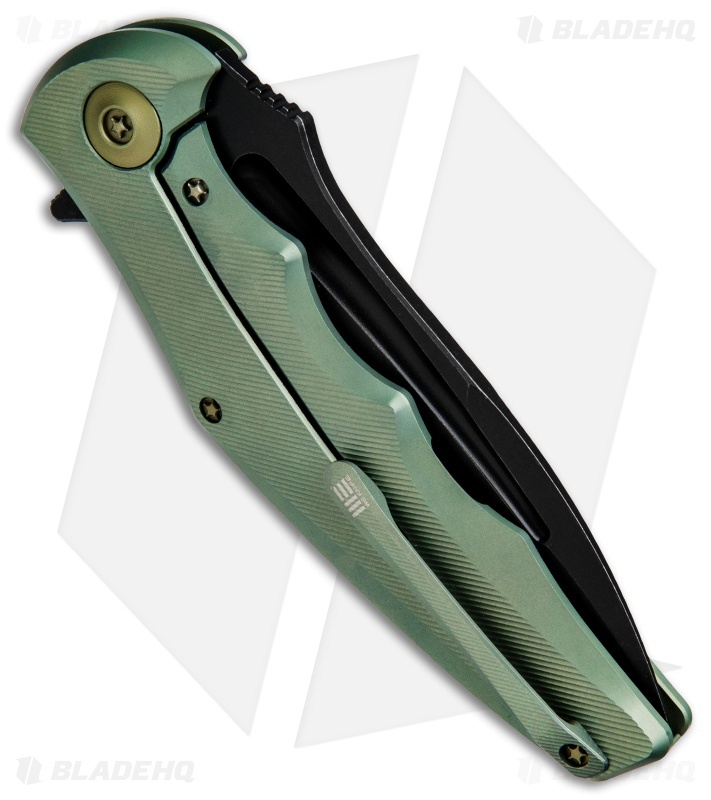 The 608A boasts a ceramic ball bearing pivot for unbelievably responsive flipping action. 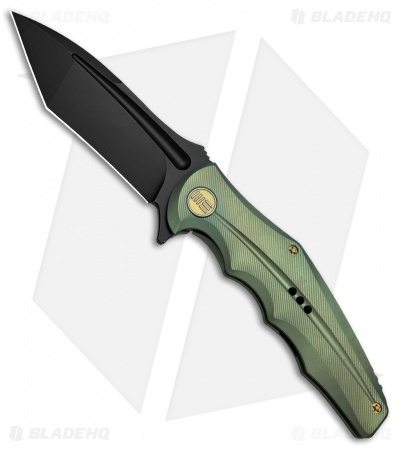 This model has a green anodized titanium handle with bronzed hardware, and is equipped with a black stonewash finished blade. Ceramic ball bearing pivot provides effortless blade deployment. 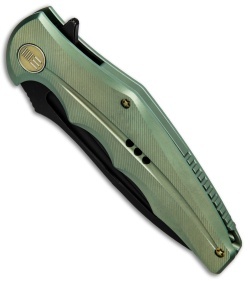 CPM-S35VN blade steel offers superb edge retention and durability. Titanium construction for a lightweight EDC you can depend on.